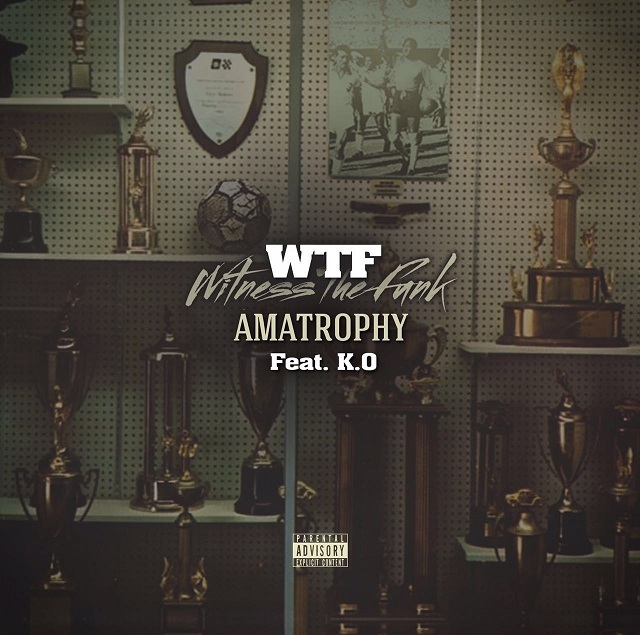 Durban hip hop group, WTF collaborates with K.O aka Mr Cashtimes on the new joint tagged “Amatrophy”. “To all our excitement, last week the nation’s favourite hip hop group, Witness The Funk (WTF), announced a collaboration with the DUST GAWD, the legendary KO, of Cashtime Life. This massive feature has apparently been cooked to tuck everybody’s summer in, all as part of WTF’s lead-up of single drops, for to their highly anticipated ‘Ngwenya Town’ project due later this year. It seems we won’t have to wait much longer for the drop as today, the GQOMTRAP ORIGINATORS released the official artwork for the track, as well as a date for the drop: this Friday, 16th of September. The artwork already tells of the spirit of triumph and congratulatory feel that the track will express, and who better than KO, one of hip hop’s biggest winners, to lace a verse on the promising hit? All that, and the bold, eccentric and quirky sounds we have come to expect from the Durban Trap collective. Our weekend is sure to be lit. We’ve fixed all download links… Happy downloading….